DS: THE STAR'S MDKP LOCHINVAR W.P. A.I. I know, a Toggenburg?! Firefly was my very first goat. 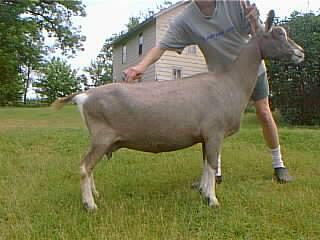 She is a very correct, nicely-put-together doe who has many GCHs & Nationals winners in her lineage.